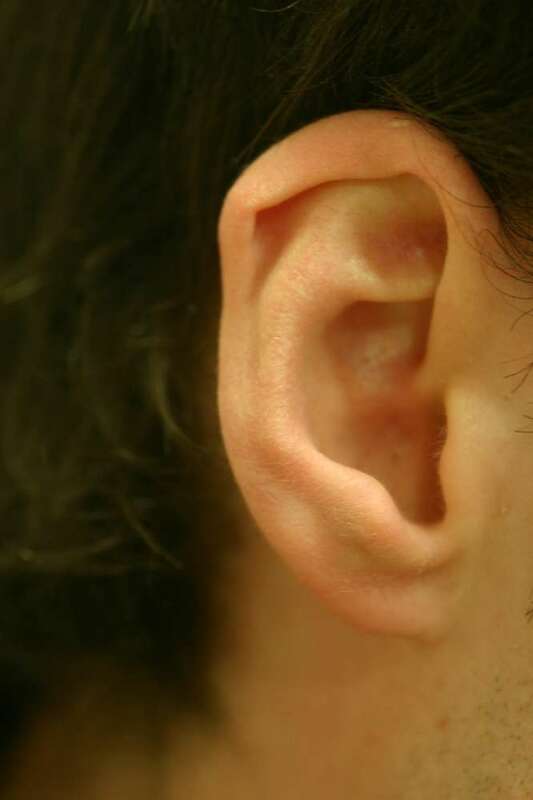 Problems which affect the ear rim include fold-over helical rim deformity, rim kinks and indentations, lop ear, cryptotia (where the upper part of the ear is hidden under skin) and Darwin's tubercle. Fold-over rim, rim kinks and indentations, lop ear and cryptotia are ear conditions obvious at birth which can be corrected without surgery using EarBuddies™ Splints, either by parents at home, or with the aid of a Professional Fitter. 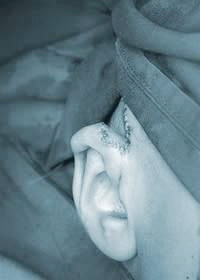 If the opportunity to use EarBuddies™ is missed, then surgery is an option. 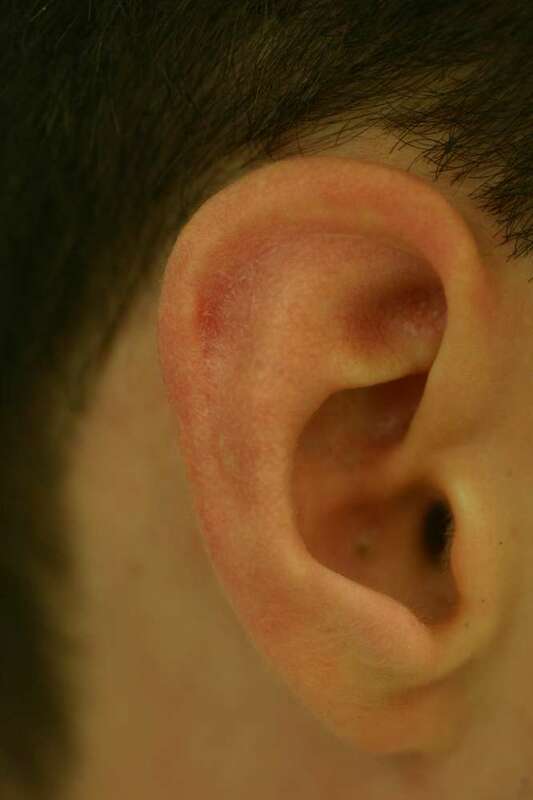 Chondrodermatitis nodularis helicis is a condtion in which painful and inflamed cartilage nodules or lumps develop on the rim of the ear. Treatment is usually by removing the lumps surgically. The condition frequently recurs. A rim indentation from birth can sometimes be improved using a graft of soft tissue. If the rim has been deformed by previous surgery or trauma, then it is more likely that a graft of cartilage will be required. 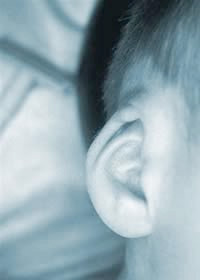 Some babies are born with a folded-over helical rim on one or both ears. 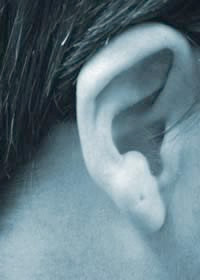 The rim of the top part of the ear looks sharply folded over, and there is sometimes a "thumb-print" indentation. If is possible to correct the condition without the need for surgery if you act early, preferably in the first three months of baby's birth, whilst the cartilage is still soft enough to reshape, by splinting with EarBuddies™ splints. 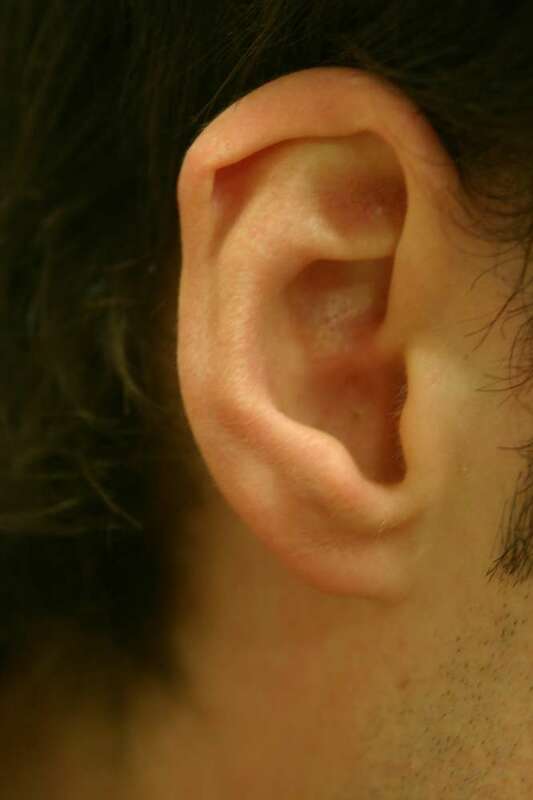 If the opportunity for non-surgical correction is missed, then surgery is possible, usually after the age of at least five years so that the ear cartilage has hardened enough to hold the sutures. If is possible to correct the condition early by splinting with EarBuddies™ Splints; if the opportunity is missed, then surgery is possible, preferably after the age of at least five years. 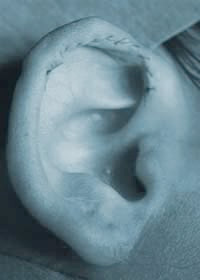 To support a lop ear, sutures can be used to create a “U” shaped cartilage prop at the site of the missing upper antihelical fold, and the ear hitched to the mastoid fascia. 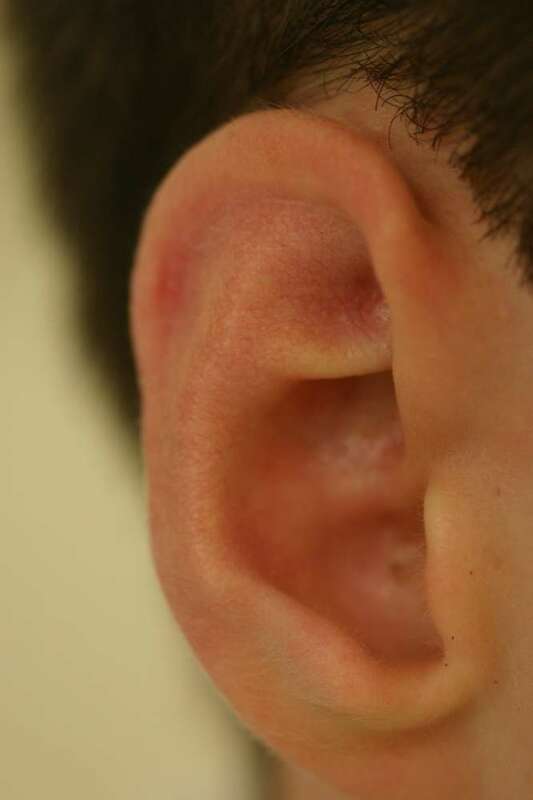 A bump on the helical rim is a common finding, often referred to as a Darwin’s tubercle. 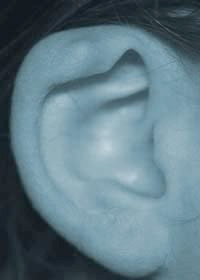 It is a simple painless lump on the cartilage framework of the ear rim, usually present at birth, which grows with the ear. 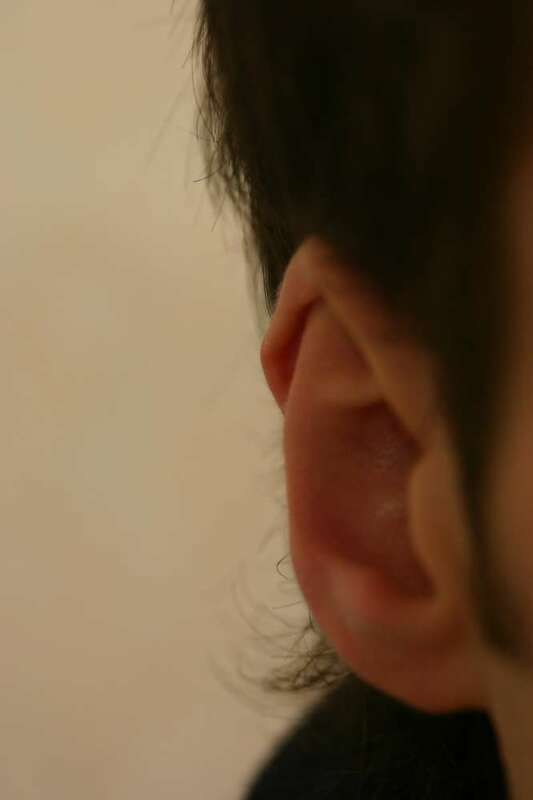 The only problem it sometimes causes is to make the ear seem to stick out more that it really does, and patients often request a set back when a simple cartilage trim is all that is required. 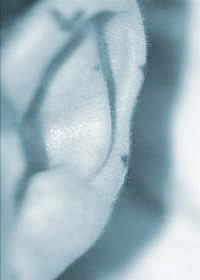 The rim of the ear can be augmented using a dermis graft. 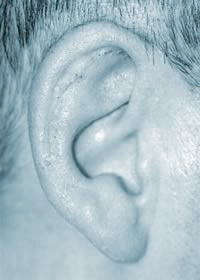 Cryptotia (crypt = hidden, otia = ear) is a hidden ear. The condition is obvious at birth and can affect one of both sides. 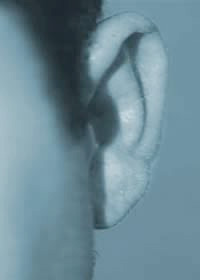 Sometimes only the lower two-thirds of an ear is visible and the groove above the ear seems lost. 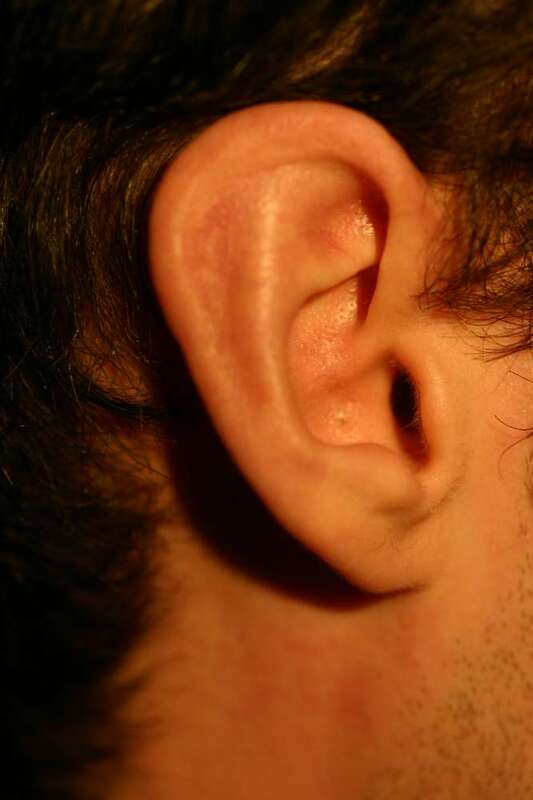 In fact, the top part of the ear, (the upper pole) is tethered to the side of the head, and hidden under the skin.When the ear is gently pulled away from the side of the head, the top of the ear can be seen, but it is usually reluctant to stay in a normal position. The problem can be corrected soon after birth using EarBuddies™ Splints; if the opportunity is missed, then surgery is possible, preferably after the age of at least five years.